They will appreciate your thoughts and prayers. A natural kraft box holds a beautiful angel figurine inscribed with a lovely sentiment, as well as a comforting book of hope in times of grief. 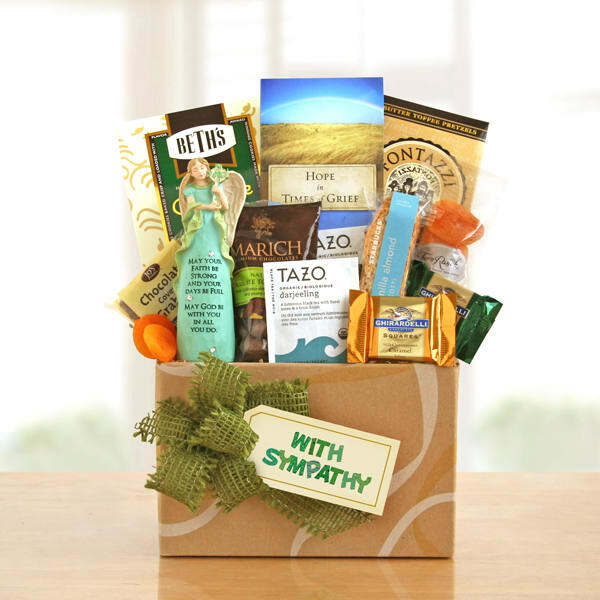 This box also holds soothing Tazo tea, butter toffee pretzels, chocolate covered graham crackers, chocolate chip cookies, biscotti, assorted Ghirardelli chocolate squares, dried apricots, and chocolate toffee almonds.